This past weekend we celebrated my daughter's second birthday for the third time. It's been a crazy month! We had one small celebration while our family was on vacation at Rehoboth Beach, mostly because 3 of the kids in our family have June birthdays and we could do one party for all 3 of them! Of course I couldn't let her actual birthday go by without having just a little celebration with our immediate family, cupcakes and opening up gifts sent by relatives who live out of state...and then came this final celebration: her "kid" party. I admit, I was overwhelmed this year trying to figure out what to do for her party. I didn't want to do anything huge and elaborate due to expenses and the fact that we live in a smaller space without a yard. 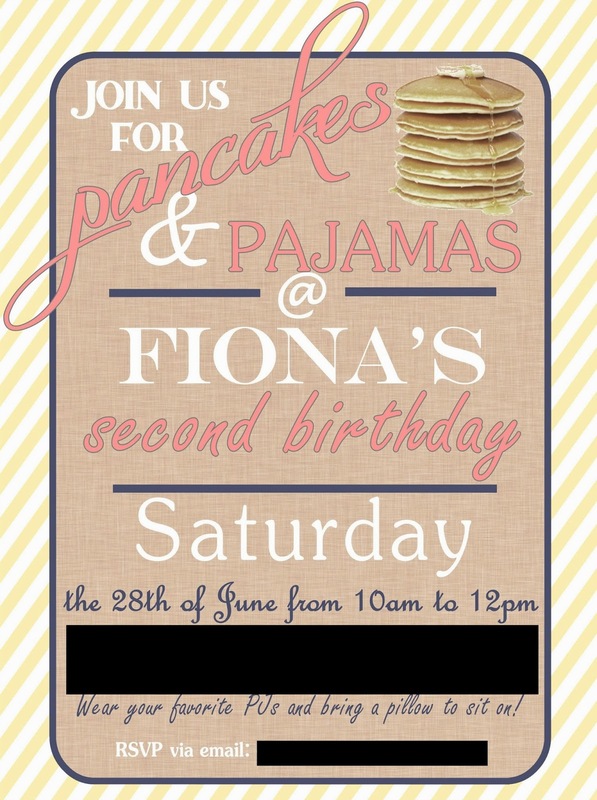 Also, at 2, most kids need a nap in the afternoon so something in the morning would be the best...I was poking around Pinterest looking to be inspired and found a ton of ideas on doing a brunch-style birthday party and having the kids (and parents in this case) come to the party in their pajamas. I loved the idea! I went on Etsy and found a fabulous designer who personalized an invitation (pictured) and included little personalized "thank you" cards that I used to print out and attach to the favors I provided (a bowl, a spoon and a little box of cereal). 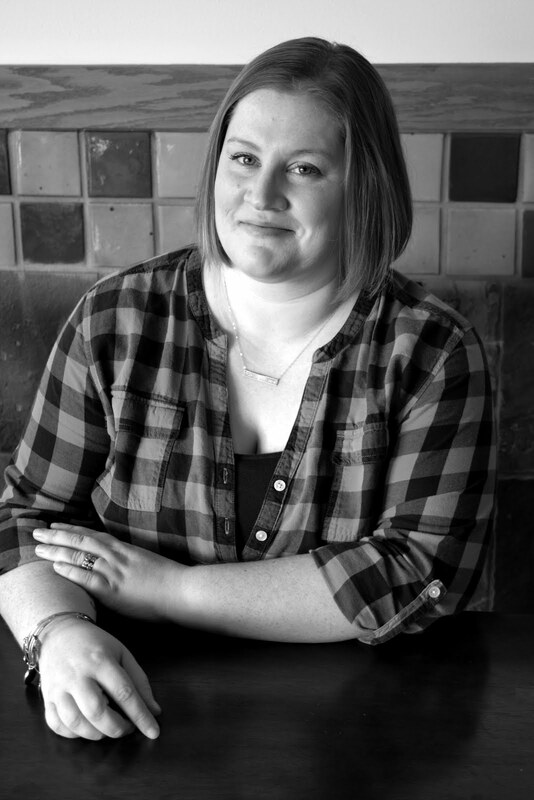 Check out her fantastic online shop at Merriment Press! I was also able to find an adorable personalized birthday pancake t-shirt for my daughter to wear with PJ bottoms to the party. This picture is obviously from after the party, complete with yogurt and chocolate doughnut stains! I also found this design on Etsy, courtesy of Chartreuse Giraffe's shop! Depending on how old your child is, you can really customize a breakfast party and add crafts like stamping designs to make their own pillowcases, drawing on mugs or plates to make their own personalized dishes or sticking to simple stuff (like I did) for a 2-year-old crowd like pancake/pj-themed coloring pages and an easy craft of stringing colored cereal on yarn to make necklaces. The best part about the part (aside from being in our PJs) was how easy the prep was! Breakfast foods are so easy to make for a crowd. I made pancakes the morning of so they'd be fresh, relying on my classic buttermilk pancake recipe passed down from my mom (click here for the recipe) and assembled 2 breakfast casseroles (recipes are below) the night before and popped them in the oven the morning of for a savory and sweet option for the adults. I added a simple juice-based breakfast punch (recipe is below), coffee (of course) and tea with juice boxes and yogurts for the kids to finish it off. A last-minute find of fresh doughnut holes with sprinkles on them made perfect little "doughnut pops" instead of a birthday cake when I popped them on top of lollipop sticks. A good rule of thumb these days for any type of buffet-style party is to write the list of basic ingredients in each dish on a little 3x5 card in front of each food option - it makes it easy for people to identify whether a) they'd like the dish or b) if there is a possible allergy issue lurking. It also saves the hostess from constantly having to tell people what the options are and focus more on having fun too! It was a great little party, my daughter had a blast and I'm definitely doing a brunch-style birthday party for her again! Check out my party recipes below. I honestly didn't change much when it came to the originals, so they're just links to the original recipes. Thanks to Pinterest I was able to find fantastic ideas for brunch dishes! This is such a fun party idea! I love the invites! Pancakes sound pretty good right about now :).